Thanks to Okada san for the photo. I actually ordered this again on another day because I forgot to take a photo of it when I ate it with the tantanmen. Perfect combination. Forgot the prices though, but I'm sure this is all around 500 yen only. 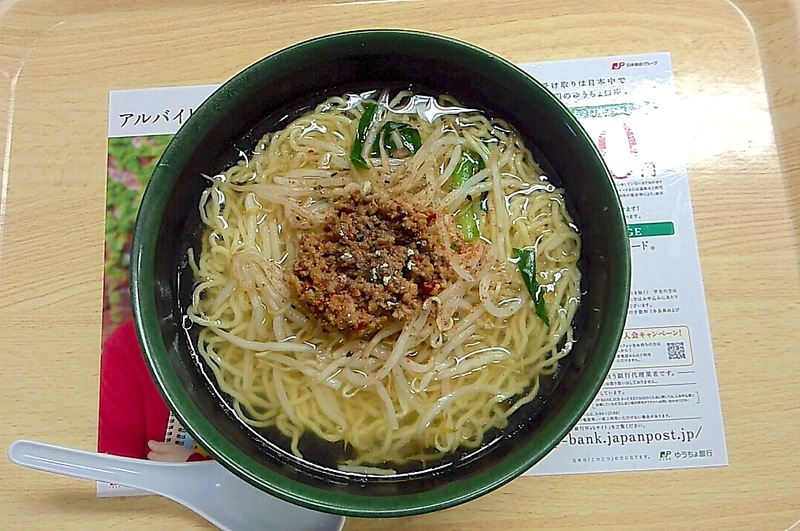 Also, I forgot if they call the ramen as tantanmen or "Taiwan ramen." Incidentally, today is also a "perfect combination" : 13.4.4 (April 4, 2013). 1+3 = four / 4 / 四 / よん / yon, which is sometimes pronounced as shi, as in "April" / 四月 / しがつ / shigatsu, which is the same pronunciation as for "death" in both Chinese and Japanese and so... it's an unlucky number in Chinese (like they don't have floors with the number 4 in their buildings). But it's not so much like that for Japanese (like they have 4th, 14th, 24th, 34th, and 40th to 49th floors, etc. ).